Making meetings more effective is both a science and an art. But many companies today are hoping to boost productivity by paying attention to the work setting. Research tells us that our environment impacts our mood, efficiency, accuracy and more. 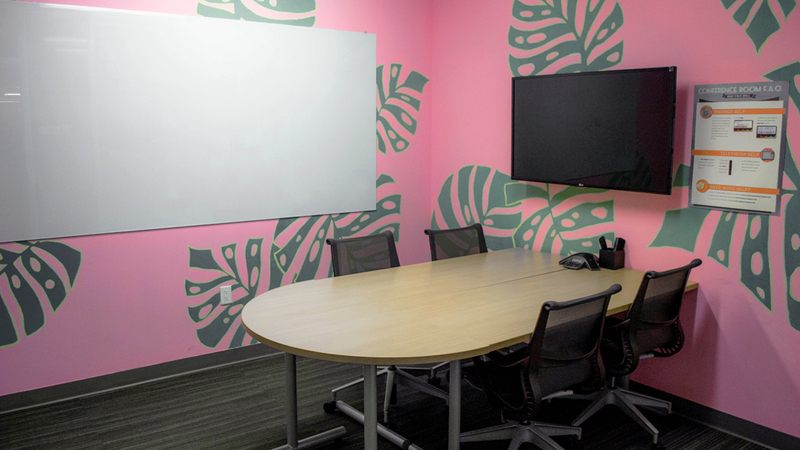 The colors and layout of office conference rooms can have a positive impact on our performance, as well as remind us what our company’s about. For example, Google’s Amsterdam office has a few cozy 1960s campers, complete with lawn chairs and fake grills. Red Bull’s Mexico office embraces fun and transparent meetings in their open-office concept by installing wooden swings and bean bag chairs set in a circular setting. And Airbnb has playful neighborhood areas with whiteboards, pin boards and tall tables that encourage employees to change their spaces. 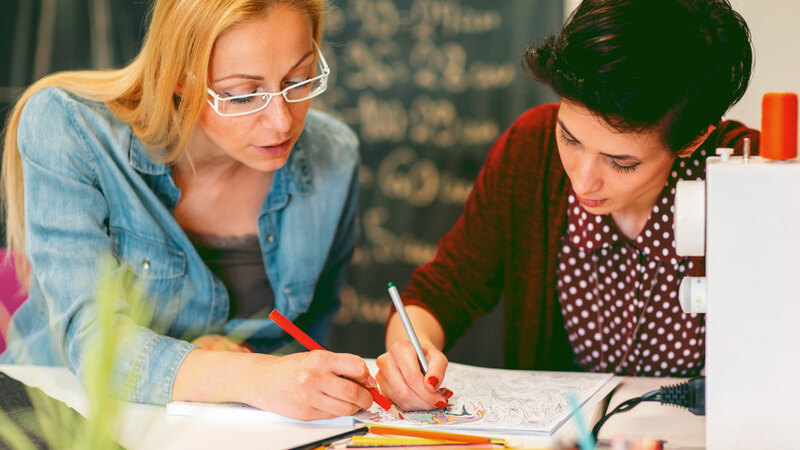 In an interview with QZ.com, Sarah Brazaitis, an organizational psychologist and senior lecturer at Columbia’s Teachers College, reflects that this trend echoes the desire to help employees be creative and happy at work. “In contrast to cold, hierarchical, spaces where labor happens, village-like offices are designed to tie individuals closer to the organization’s identity." “Companies that name their conference and meeting rooms according to themes are doing so to communicate their values and organizational culture to their employees, customers, clients, and all who enter," says Brazaitis. 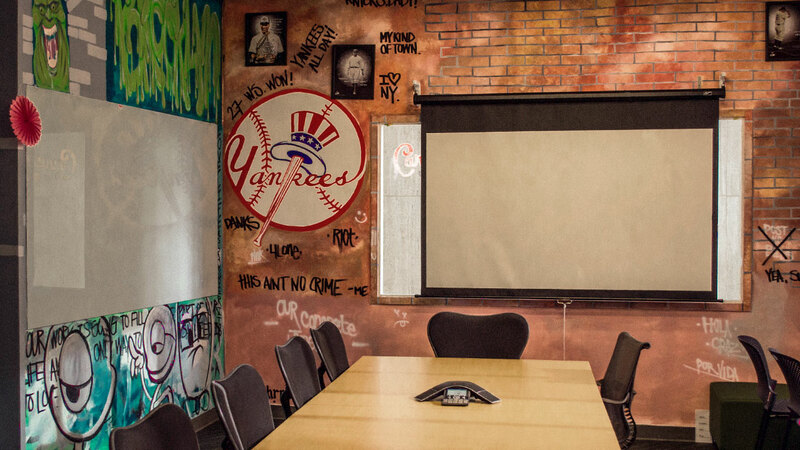 At our downtown Las Vegas headquarters, over a hundred conference rooms are in the process of being themed, painted and renamed. Resident Artist Miguel Hernandez and Infrastructure Project Manager Sunshine Jowell are working in tandem to create employee-inspired spaces across the campus. Nothing is too solemn, and no subject is off limits. For instance, the two are planning a paint-by-numbers room so even self-perceived non-artists can participate. Employee-based contests are also being held to formulate themes and names for barren rooms. 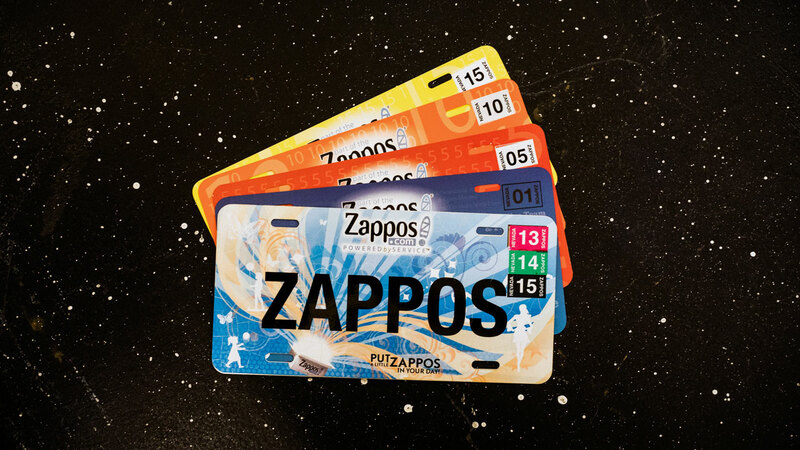 Zapponians who work on specific floors have the opportunity to submit their brightest ideas. Once the proposals are in, everyone votes for their favorites and the winners work with Hernandez and Jowell to manifest their concepts. Sometimes, though, a little help from their friends is necessary. “We believe in doing more with less, so if someone wants to bring something in from home to accent the finished space, they are more than welcome,” says Hernandez. This means a beach room may end up with some sand dollars or a plastic shovel and bucket. Zappos' "The Golden Girls Room"
Hundreds of studies have been done on the psychology of color. And despite what construction contractors might prefer, one thing is for certain: the color white doesn’t belong in the workplace. “White doesn’t help us be productive, and most work environments are white, off-white or grey,” says University of Texas researcher Nancy Kwallek to "Fast Company," who suggests the sterile quality isn’t conducive to work. Color can affect a person’s mood as well as hinder their effectiveness. White leads to more errors, and too much yellow can lead to stressed-out employees, whereas pink has been shown to reduce heart rates. Orange can stimulate critical thinking and blue is known to encourage creativity. Advertising agencies spend millions of dollars perfecting a product name. We laugh at the names of cheeky bands, restaurants and celebrities’ babies. Companies also live and die by their names (e.g., Zappos, which derived from zapatos, the Spanish word for shoes), so why shouldn’t a conference room enjoy a little name-calling as well? Buzzfeed keeps it simple but exciting with three-letter acronyms, including LOL, WTF, OMG and WIN. Etsy combines the names of foods and musicians to create funky mashups, such as Pjork, Ace of Bouillabaisee, Bon Bon Jovi, Nine Inch Snails and Fleetwood Mac ‘n’ Cheese. Humans spend approximately one-third of our adult lives working. The spaces we inhabit on a day-to-day basis profoundly affect our attitudes and outlooks in life. It’s up to us to make that effect a positive one. 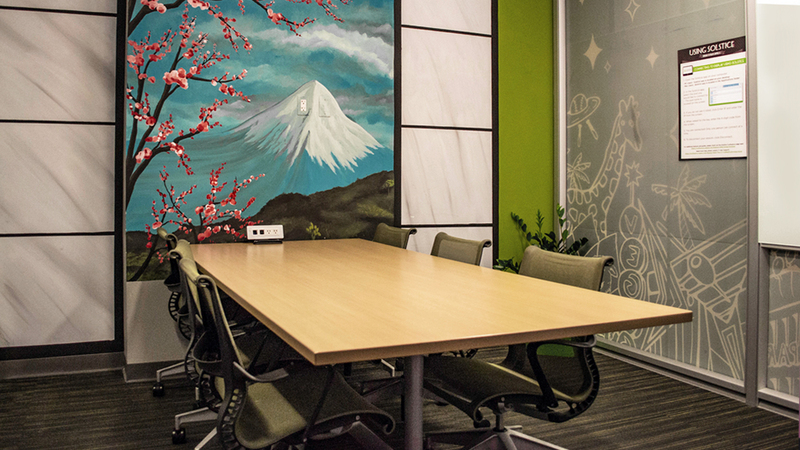 By painting and naming conference rooms and open spaces, companies can encourage creativity, culture and camaraderie among their employees. And don’t forget your personal space: make your desk your own private nirvana and don’t be afraid to use some color (besides white or gray). 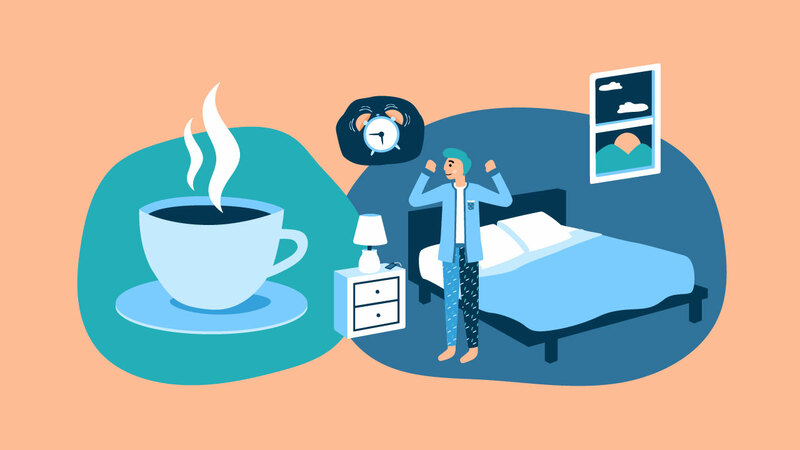 At Zappos, taking the time to rebrand our surroundings with culture has been proven to infuse positivity into our work life … and that translates to even more amazing experiences for our customers. To learn more about Zappos, or how to build a strong company culture, sign up for a Zappos Insights training event or tour by clicking here!